Elections in the Philippines are of several types. 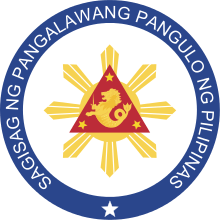 The president, vice-president, and the senators are elected for a six-year term, while the members of the House of Representatives, governors, vice-governors, members of the Sangguniang Panlalawigan (provincial board members), mayors, vice-mayors, members of the Sangguniang Panlungsod/members of the Sangguniang Bayan (city/municipal councilors), barangay officials, and the members of the Sangguniang Kabataan (youth councilors) are elected to serve for a three-year term. The Congress or Kongreso has two chambers. The House of Representatives or Kapulungan ng mga Kinatawan has 292 seats as of 2013, of which 80% are contested in single seat electoral districts and 20% are allotted to party-lists according to a modified Hare quota with remainders disregarded and a three-seat cap. These party list seats are only accessible to marginalized and under-represented groups and parties, local parties, and sectoral wings of major parties that represent the marginalized. The Constitution of the Philippines allows the House of Representatives to have more than 250 members by statute without a need for a constitutional amendment. The Senate or Senado has 24 members which are elected on a nationwide at-large basis; they do not represent any geographical district. Half of the Senate is renewed every three years. The Philippines has a multi-party system, with numerous parties in which no one party often has a chance of gaining power alone, and parties must work with each other to form a coalition government. 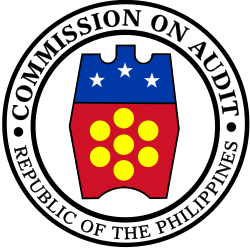 The Commission on Elections (COMELEC) is responsible for running the elections. 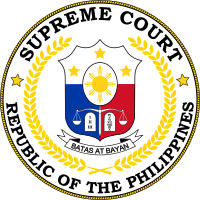 Under the Constitution, elections for the members of Congress and local positions (except barangay officials) occur every second Monday of May every third year after May 1992, and presidential and vice presidential elections occur every second Monday of May every sixth year after May 1992. All elected officials, except those at the barangay level, start (and end) their terms of office on June 30 of the election year. Every citizen 18 years old or above on Election Day who has been a resident of the Philippines for at least a year and for at least six months in the place he is registering, and is not otherwise disqualified by law, may vote. In order to actually vote, a citizen has to register. The COMELEC has a registration period for several months prior to the election. Those who are not registered will not appear on the voters' list and are ineligible to vote despite being qualified to do so. People aged 15 to 18 may vote in Sangguniang Kabataan elections. Same with their adult counterparts, the COMELEC has a registration period a few months prior to the election. Absentee voters are divided into two types: the local absentee voters and the overseas absentee voters. Local absentee voters include people who are working during Election Day. These include soldiers, policemen, government employees and the like. Overseas absentee voters are Filipinos residing abroad. They are eligible to vote on national positions only (president, vice-president, senators and party-list representatives). Overseas absentee voters may vote in Philippine embassies and consulates, and voting begins as early as 4 months prior to the election. The voting can be as long as 6 months in a very few situations. Once a registered voter finds his/her name in the voters' list and locates the correct precinct, he may queue in line for the distribution of the ballot. Prior to the 2010 elections, voters have to write the names of the candidates next to the positions in which they are running. COMELEC-approved nicknames maybe used by the voters in writing the names. After the polling period ends, the Board of Election Inspectors (or the teachers manning the polling precinct) counts the ballots by hand. Once all the ballots are counted, the election returns will now be sent to the city or municipal Board of Canvassers, political parties and other groups. The city or municipal Board of Canvassers canvasses the votes from all polling precincts within their jurisdiction and prepares two documents: a Statement of Votes (SOV) in which all votes from all candidates in all positions per precinct is listed; and a Certificate of Canvass (COC), a document showing the vote totals of all candidates within the Board of Canvassers' jurisdiction. If the city or municipal Board of Canvassers' jurisdiction is an independent city with its own congressional district, they will send their SOV and COC to the national Board of Canvassers (the COMELEC for senate and party-list elections, Congress for presidential and vice presidential elections). If it is otherwise, they will send their SOV and COC to the provincial Board of Canvassers where the votes as stated from the city or municipal COC will be canvassed. The provincial Board of Canvassers sends their SOV and COC to the national Board of Canvassers once canvassing is done. The national Board of Canvassers then canvasses all COCs and declares the winners for national positions. Since the 2010 elections, the voters have to shade the oval that was indicated before the candidate's name, and a voting machine manufactured by Smartmatic automatically counts each ballot as it is fed into it. The results are then printed as the election return and sent electronically to the city or municipal Board of Canvassers. In 2016, for the third time in a row, the Philippines automated their elections using electronic vote counting machines. The deployment of 92,500 of these machines was the largest in the world. Brazil and India, countries which also use technology to process their votes, employ e-voting instead of an automated count. The Philippines stands today with Brazil, Estonia, Belgium and Venezuela at the forefront of election technology adoption. National and local elections are held on the second Monday of May every third year starting 1992. The presidential and vice presidential elections are held every six years. Election Days in which the president and vice president and barangay officials are not elected are called "midterm elections"; Election Days in which the president and vice president are elected are called "presidential elections." Barangay-level officials, although are currently elected in the same year as the other officials, are elected separately the succeeding months (see below). From 1949 to 1971, election days are held every second Tuesday of November of every odd-numbered year with the presidential and vice presidential election held the every fourth year starting from 1951. Barangay-level elections, starting from 2007, are to be held every three years during the last Monday of October, although these elections are frequently postponed (and incumbents' terms are extended) as a cost-saving measure. Elections for the positions in the Autonomous Region in Muslim Mindanao (ARMM), starting from 2011, are to be held every three years during the second Monday of May. *Some cities do not elect provincial officials. In a presidential election year, a voter may vote for as much as 34 names and a party-list organization. In ARMM elections, a voter may vote for five names, and in barangay elections, a voter may vote for eight names. A voter for the Sangguniang Kabataan (SK, youth council) may vote for eight names; currently, SK voters are aged 15 to 18 years old with only the SK voters aged 18 years old may vote for other barangay officials. Each voter is entitled to one vote each for the duration of the election. The voter may split his or her ticket. The candidate with the most votes wins the position; there is no run-off election, and the president and vice president may come from different parties. If two or more candidates emerge with an equal and highest number of votes, one of them will be elected by the Senate and the House of Representatives, voting separately. 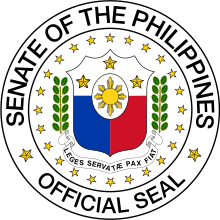 The Senate has 24 members, and 12 members are elected every election; hence, each voter is entitled to twelve votes for the Senate in every election. The voter may not complete the twelve votes for the Senate, but s/he must not surpass the twelve votes or else his/her ballot for that position will be nullified. With the entire country as one at-large district, the twelve candidates with the most number of votes are elected. This is often not proportional to the results. From 1951 to 1971, instead of 12 senators elected every three years, the electorate voted for eight senators every two years in the same format. From 1941 to 1949, all elections to the senate were by block voting: the voters may write a name for every seat contested, or they can write the name of the party, which would then give all of the voters' votes to that party's ticket. Compounded with the Nacionalista Party's dominance, this caused a sweep of 24 seats for them in 1941. From 1916 to 1934, voting was via senatorial districts; voters vote for one candidate every three years, except for the first election in 1916 where they'd vote for two candidates; the second-placed candidate would only serve for three years. Each voter has two votes in the House of Representatives. A voter may elect a representative from the congressional district of residence. The candidate with the highest number of votes in a district wins that district's seat. A voter may also elect a party-list organization. The voter votes for the party, not for the candidate, and the voter is restricted to one vote. All votes are tallied in an at-large basis, and parties with at least 2% of the vote wins at least one seat in the House. A further two more seats will be granted if there are still spare seats (the party-list representatives comprise 20% of the House), and if there are still unfilled seats, the parties with less than 2% of the vote will get one seat each in descending order until all seats are filled. A party-list organization is limited to representing marginalized sectors of society such as youth, laborers, women, and the like. Previously, the calculation for the winners in the party-list election was different: the winning parties should have 2% of the national vote and are awarded one seat; any additional 2% is given an additional seat until the maximum of three seats per party is filled up. Since only a few parties surpassed the 2% election threshold, the number of party-list representatives was always less than 20% of the House's membership. 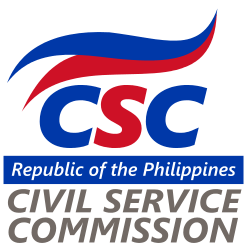 The party-list system was first used in 1998; from 1987 to 1995, the president with the concurrence of the Commission on Appointments, appointed the sectoral representatives. Sectoral representatives were first elected during 1978. If the city the voter is residing in a highly urbanized city or independent component city, the voter can not vote for any of the provincial-level positions. The Sangguniang Panlalawigan (provincial board), Sangguniang Panlungsod (city council) and Sangguniang Bayan (municipal council)'s manner of election is identical with that of the Senate. In some cities and provinces, they are split into districts (not necessarily the same as the congressional district) in which separate board members/council members are elected. The manner of election of the Sangguniang Kabataan in the barangay is identical to the one used in the Senate. Each barangay is entitled to one SK. The barangay SK chairpersons in a city or municipality elect amongst themselves a president that will sit as an ex officio member of the city or municipal council. The city (if applicable) and municipal SK presidents then elect amongst themselves a president that will sit in the provincial board as an ex officio member. Finally, provincial and city (which are not under the jurisdiction of a province) chairpersons elect amongst themselves the SK national federation president that will sit as an ex officio member of the National Youth Commission. The manner of representation of the different barangay chairmen in the municipal, city and provincial legislatures as ex officio members is identical with the way how the SK chairpersons are represented; the provincial and city (which are not under the jurisdiction of a province) chairpersons elect amongst themselves the president of the National League of the Barangays (Liga ng mga Barangay). Referendums and plebiscites are conducted in order to pass certain laws. Any amendments or revision to the constitution, merging, creation and abolition of local government units and autonomous regions and the like are validated via plebiscites. In order for a referendum and plebiscite to pass, the votes in favor must be greater in number than those which are opposed; there is no requirement for how high the voter turnout should be in such referendums or plebiscites. Referendum is the power of the electorate to approve or reject a legislation through an election called for the purpose. Plebiscite is the electoral process by which an initiative on the Constitution is approved or rejected by the people. It is also the term used in determining the creation of a barangay (village), municipalities, cities, provinces and autonomous regions. In order to initiate a referendum, a total of 10% of all registered voters, plus 3% from every affected legislative district, must sign a petition. If the affected locality only has one legislative district, the 3% requirement falls to every municipality for a province-wide referendum, and for every barangay for citywide referendum. For barangay-level referendums, the requirement is 10% of all registered voters. For a constitutional plebiscite, 12% of all registered voters is needed, with 3% for all legislative districts, and that it could be exercised five years after its ratification on February 2, 1987, and once every five years after each plebiscite. A referendum is passed if it is approved by a majority of the votes cast; a defeat means the law sought to be rejected or amended remains to be in full effect. There had been two "waves" of national referendums in the Philippines: the first was during the Commonwealth period, and the latter was during the martial law period. Locally, the most common plebiscites are on creating new provinces and the upgrading of a municipality into a city. The last provincial-level plebiscite was on 2013 for the creation of a new province of Davao Occidental that was passed; the last national plebiscite was in 1987 for the approval of the constitution endorsed by the 1986 Constitutional Commission. Elected local government officials may be recalled. A recall election may be called if either a majority of all members of a preparatory recall assembly, composed of all elected local officials within a local government unit (LGU), endorse a recall, or if there is a petition of at least 25% of the registered voters in that LGU. The recalled official is not allowed to resign when facing a recall election, but may participate in it; the candidate with the highest number of votes wins the recall election. Initiatives (locally known as "people's initiative") to amend or revise the constitution, or propose new laws are allowed if there is a petition of at least 12% of all registered voters in the country, with at least 3% in every legislative district. A plebiscite will be called it meets such requirements. A people's initiative has never made it past the stage verification of signatures. Members of the House of Representatives can be elected under the second type of special election whenever the predecessor leaves office, except when the next regularly scheduled election is less than a year away. A special election for president and vice president can only be called if both offices are vacant at the same time, and is outside the 18 months prior to the next regularly scheduled presidential election. The last special election to elect a vacancy to the House of Representatives was 2012 for Negros Occidental's 5th legislative district. The last special election for the presidency was on 1986. Primary elections do not exist in the Philippines. The leaders of the various political parties select the candidates themselves, and party membership is liquid. In some cases, if a politician is not chosen to be a candidate, he can join another party (such as Ferdinand Marcos, a Liberal, jumped ship to the Nacionalistas in 1965 when the Liberals picked incumbent Diosdado Macapagal as their presidential candidate), or create their own party (such as Fidel Ramos, when he created the Lakas ng Tao (now Lakas Kampi CMD) after the Laban ng Demokratikong Pilipino chose Ramon Mitra as their presidential candidate in 1992). Beginning during the Spanish Colonial Period there were a few attempts nationally of electing local officials. Once the Spanish colonial government was replaced by the American colonial Insular Government. following the Spanish–American War, and the First Philippine Republic defeated in the Philippine–American War, there were multiple elections held throughout peaceful areas of the country for provincial and local officials. 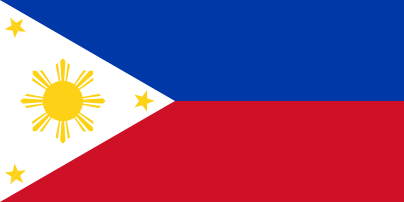 During the First Philippine Republic an attempt was made to elect a national congress but the Republic did not control the Philippines and so no nationwide election could be held. 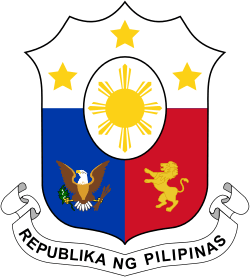 The first fully national election for a fully elected legislative body was in 1907 for the Philippine Assembly, the elected half of the bicameral Philippine Legislature during the American Colonial Period. Only elections national in scope are included. The latest presidential and vice presidential elections were held in May 2016. The latest national and local elections are the May 2016 polls, followed in October by barangay elections. ↑ Withdrew on February 5, 2016, and died three days later. All of his votes are to be considered as spoiled votes. *1,211 votes are unaccounted for. ↑ Inquirer, News (2016-05-10). "Smartmatic: PH now world reference point for automated elections". Philippine Daily Inquirer. Retrieved 10 May 2016. ↑ Quezon, Manuel III (2006-11-20). "Block voting". Philippine Daily Inquirer. Retrieved 2010-12-10.